It’s almost valentine’s day again. Love it or loathe it, we’ve crafted a very special coffee blend to see you through, and even better, we’re offering you the chance to customise the bag it comes in. Personalise your own bag of delicious craft coffee this Valentines and give the coffee-lover in your life the ultimate treat. As part of this bespoke offering, you’ll be able to pick the initials and name, plus a ‘location’ for the bag - have a bit of fun or showcase where you met that special person in your life! But the gimmick lies just with the design, as the coffee inside, a two-part blend selected from two of our longest standing producers, is pretty tasty. Don’t be fooled by this deceptively simple two-part blend, as this is much, much more than the sum of its parts! Expect to find your cup full of rich redcurrant and bittersweet bakers chocolate, deep plum notes and warming spiced apple tones. 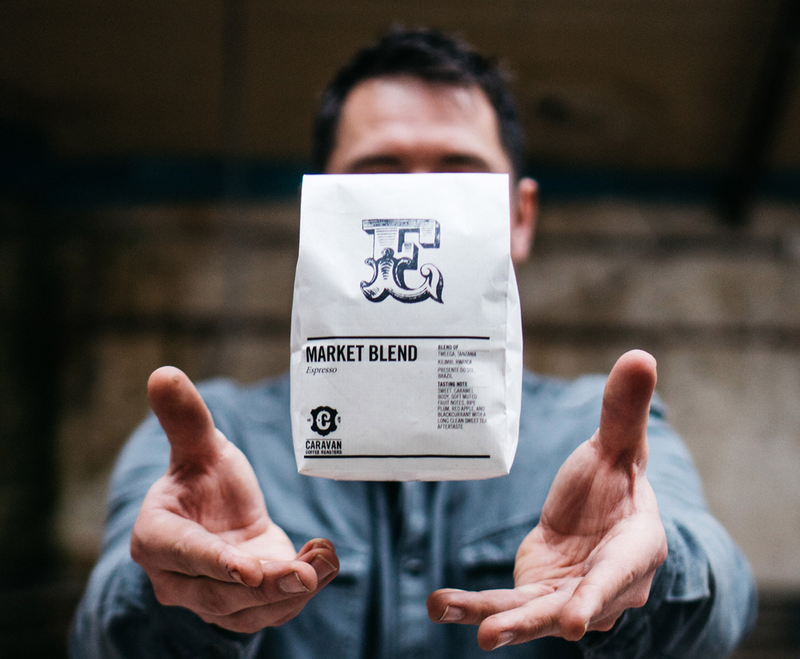 The first lot and base to this delicious coffee offer comes from Christian Rasch’s farm El Hato in Fraijanes, Guatemala. Sweet, intensely juicy with a delicious apple character that pairs beautifully with the subtle spice notes and intense acidity of the Rwandan Kilimbi lot; produced by our good friends Karthich and Guadam Anbalagan. If you are looking for a something more thoughtful for your loved one, something a little cheekier for your mate or you just want to treat yourself, look no further than a Caravan Coffee Roasters personalized craft coffee bag, available for a limited period only. Click here (link to LOVE BRU) to buy your own special bag.